November Member of the Month – Ray! Congrats to Ray on being our November Member of the Month!! 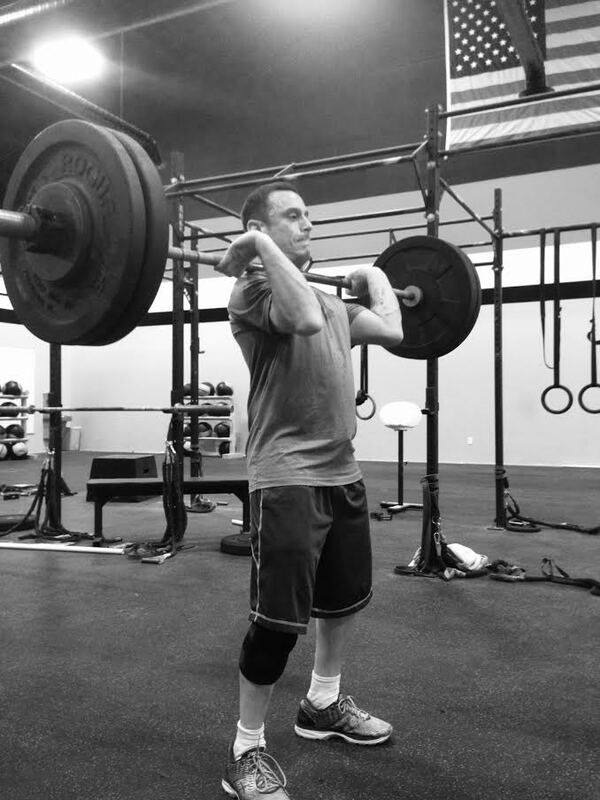 When and how did you get started with CrossFit? I started CrossFit in March of this year. I had registered for a GoRuck Heavy,challenge,light and scavenger that was going to happen in July. Being a 40+ hour event I knew I was going to have to train harder that ever. After asking for advice from people that had completed similar events I learned that the majority of them did used CrossFit to get ready. I found CrossFit Union and was hooked after my first on ramp. Favorite workout? My favorite workout would have to be Murph. doing it on Thanksgiving morning was an awesome experience. I look forward to doing it again. What’s the best part about working out with the 6:30pm class? The 6:30 class is a smaller one giving us a chance to be coached a little closer. The people that show up regularly all put in an effort that is amazing. Whenever I start to feel smoked there is always a word of encouragement from across the gym. Favorite food? My favorite food is a tie between a Carl’s cheese steak or a 5 guys cheeseburger. Though most days I eat a salad or a turkey sub . Tell us a little bit about the Go Ruck races you’ve taken part in.. The GoRuck events that i do are hailed as the “best team building exercise” . The whole event is based on special forces selection challenges. I carry a backpack or ruck sack filled with bricks, water and anything else I may need for the entire time . The “Cadre” that is in charge has been or is still an active member of the special forces and he will have us do lots of PT at the beginning of each event this is called the “WELCOME PARTY” it can last as long as 4 hours or be as short as an hour. After that we will move out as a team to make specific destinations in an allotted amount of time. During this time we will be carrying other heavy objects that could be anything from logs to furniture it is always a surprise and the bigger the group the more stuff it can be. If we do not make the destination in the allotted amount of time we will be penalized with more PT. Before starting CrossFit I had done quite a few events with the longest being 20 hours. I was finding myself completely exhausted and not able to help the team towards the end of all my events. During my HTLS in July and the multiple other events I did this past year I found myself still feeling good and able to perform on a level that stood out compared to before. In the coming year I have already registered for 2 HTL’S and I am hoping to be approved to try and finish the HEAVY,HEAVY,HEAVY. 72 hours long …… boy does that sound like a bad idea. 4+26 (1 MU left to complete 5 Rounds). LOVE the MU box alternative! will keep practicing! Probably should have gone heavier on the snatches. Wanted to focus on the bar muscle ups and was able to string all 3 except for one round. So next time heavier snatches or more reps on the mus. Burpee pull – ups instead of MUs.